Karate is a living art. It cannot be hung on a wall and appreciated from afar, like a painting. It is a combination of multiple disciplines, including psychology, anatomy, and interpersonal combat. 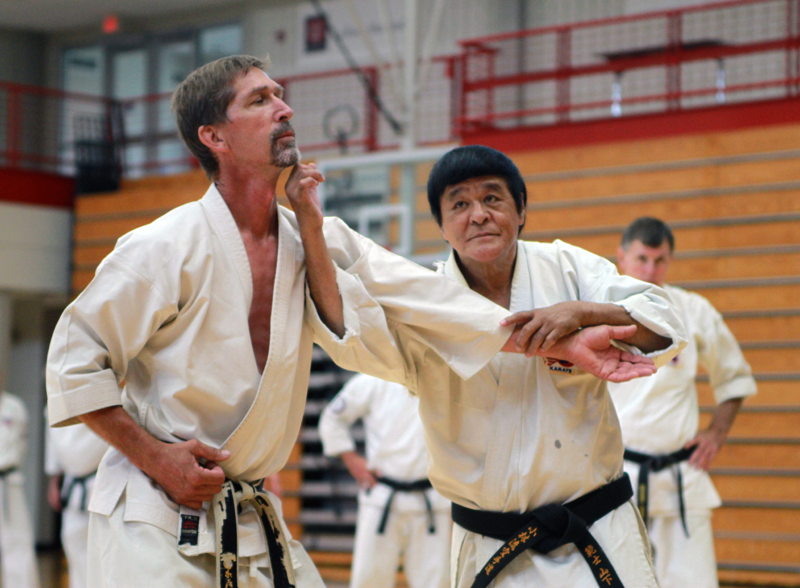 To teach and pass along karate from student to student, we rely on kata (forms), kumite (sparring), and bunkai (breakdown of kata). Katas are combinations of blocks, strikes and stances executed in specific patterns to learn balance, proper form, and create muscle memory. Practicing kata requires patience, concentration, and discipline. Kata is the foundation of karate. Sparring improves speed, reflexes, agility and sense of distance. It helps us learn to manage the adrenaline and stress of a fight. At tournaments we can test our skills against other systems and competitors. It is the sport element of karate. 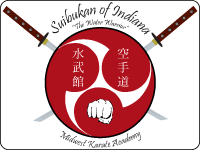 Kata applications include grappling, throwing, countering, striking vulnerable areas, and submission. With practice, they become reflexes, and the martial artist unifies all he/she has learned into practical self protection.